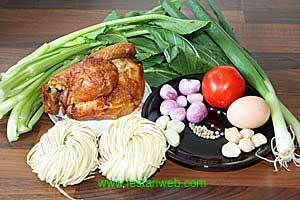 Boiled the egg noodle in hot water to soften/all dente according to instruction . Keep aside to drain. 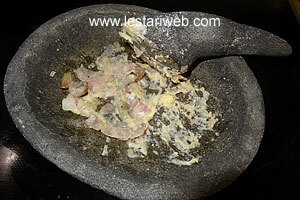 Put all ingredients for the paste ( except Shallot) in a mortar/grinding stone and grind until smooth. Add the shallot, crash with the pestle or just grind raughly. 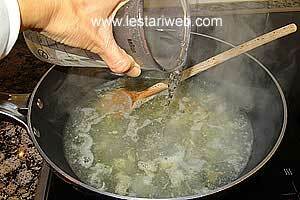 Heat 2 tbsp oil in a big saucepan or wok and stir fry the paste. Stirring all the time until fragrant. Pour in the hot water and bring to boil. 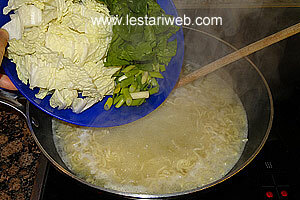 Add chicken broth powder, salt and sugar. 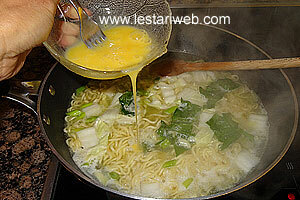 Lower the heat into medium then add the boiled noodles. 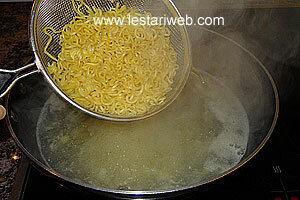 If necessery rinse the noodle with warm water to prevent sticking itself before adding to the wok. 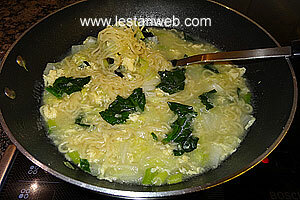 Add coy sum and springs onion, cook shortly until vegetables just wilted. 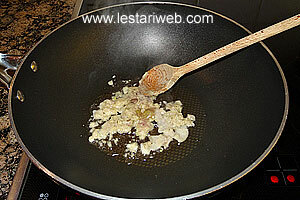 Add the beaten egg to the wok and stir quickly to mix. Remove the wok from heat to prevent over cooked. Serve right away. 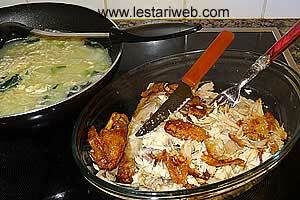 Shred or tear the fried chicken apart into small strips. 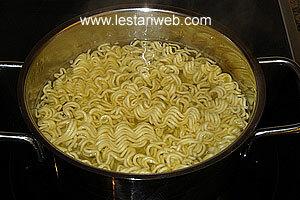 Serving Method: Put the mix noodle in a bowl or a dish. 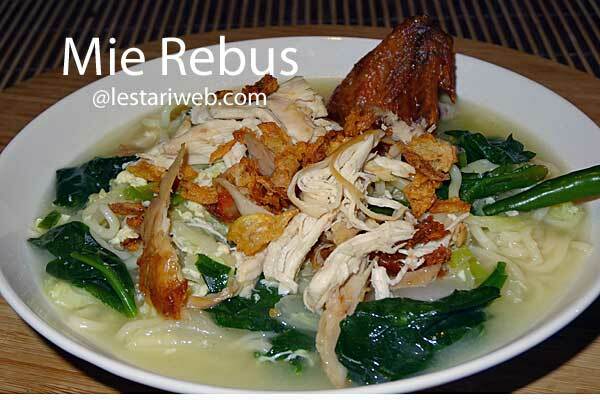 Add the chicken on top and pour in the hot soup. Add the tomato & fried onions to garnish. If you like you can take green small chilli for the accompaniment.